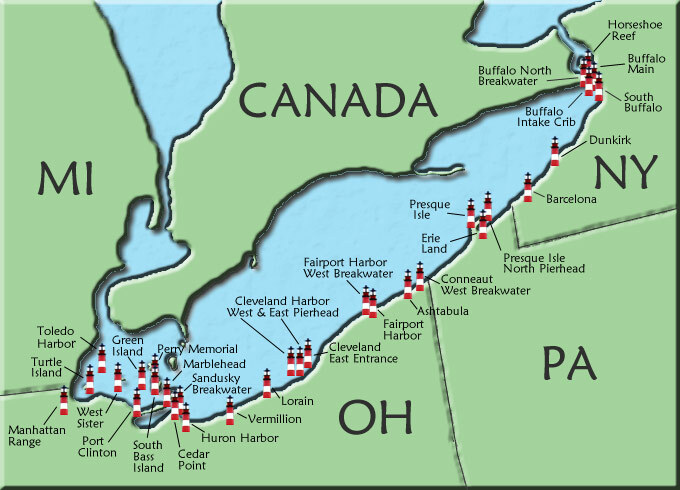 With 60 historical lighthouses surrounding Lake Erie, 22 stretch along the shores from Port Clinton to Toledo Harbor. For over a century, their beacon of light served the Great Lakes shipping region. Built during the early 1800s to mid 1900s, these majestic buildings climb over 50 feet tall to 12 feet wide and are constructed primarily of concrete, stucco material, or wood. The walls can be 5 inches to 10 inches thick, depending on the amount of exposure to the lake waters and waves. Red, white, and black are the primary colors used to paint them. A caretaker’s home is often located within a mile of the lighthouse if not built adjacent to it. A caretaker’s job was low paying and isolated but for most, a service of devotion. Most structures have remained intact, others have fallen to disrepair, and some have not been rebuilt. Many of today’s lighthouses offer tours and museums, others are not open to the public, and some have become natural wildlife preserves visible only by boat or tour. On exhibit at the Fairport Harbor Lighthouse, you will find the history of Maritime life and stories of escaped slaves who depended on the beacon of light to guide them to safety. Slaves hid in this lighthouse prior to departure by boat for Canada. 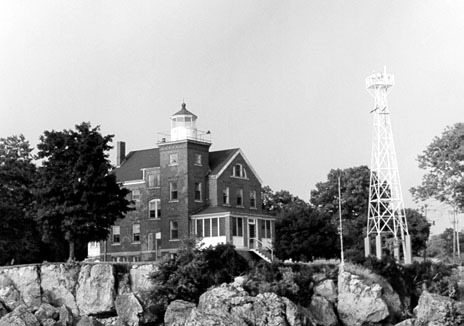 Ohio State University owns and houses research and academic staff at the South Bass Island Lighthouse, located near Put-in-Bay. This Queen Ann Style lighthouse is built of brick with 2 ½ floors of living space and a basement. 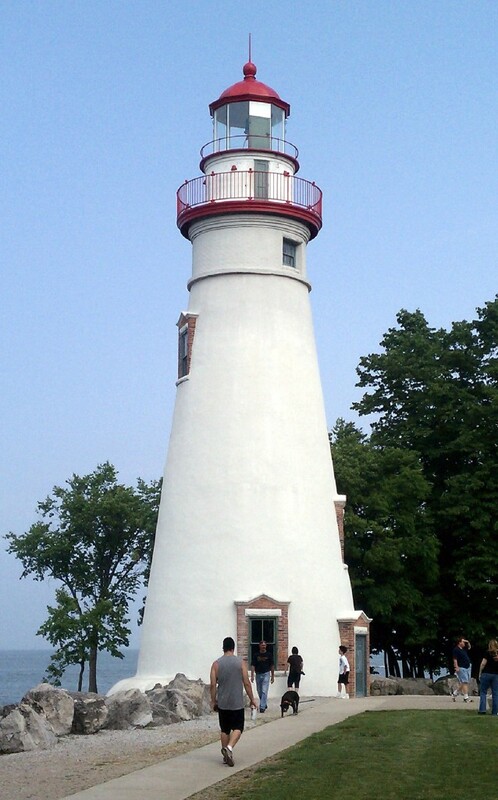 The Marblehead Lighthouse, built in 1822, is the oldest and continuous lighthouse located on Sandusky Bay. A total of 15 keepers, 2 being women, once operated it. If you want to visit the Cleveland Harbor West Pierhead Lighthouse, you will have to take a ride on the Goodtime III or Nautica Queen Cruise Ships. It was closed to the public in 1965 after going automated. Visit the Great Lakes Science Center to view its original Fresnel lens that once flashed a beacon of light every 5 seconds to warn ships. Until 1973, The Ashtabula Lighthouse was the last of the Lake Erie lighthouses to remain manned, giving way to today’s automation and technology. The 22 Great Lakes Region lighthouses have been photographed for their individual style, color, and history. People who are in awe of lighthouses travel the world to see them. 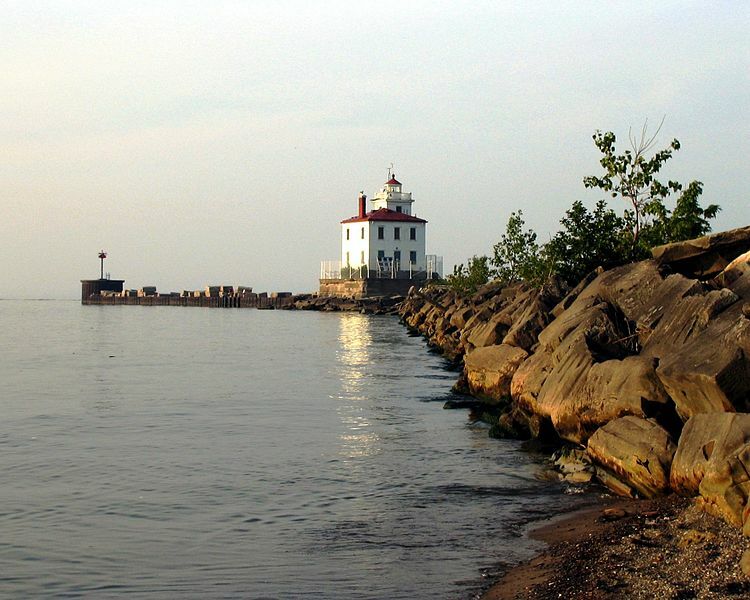 Have you ever visited any of the lighthouses in the Great Lakes Region? Share your stories in the comments below.